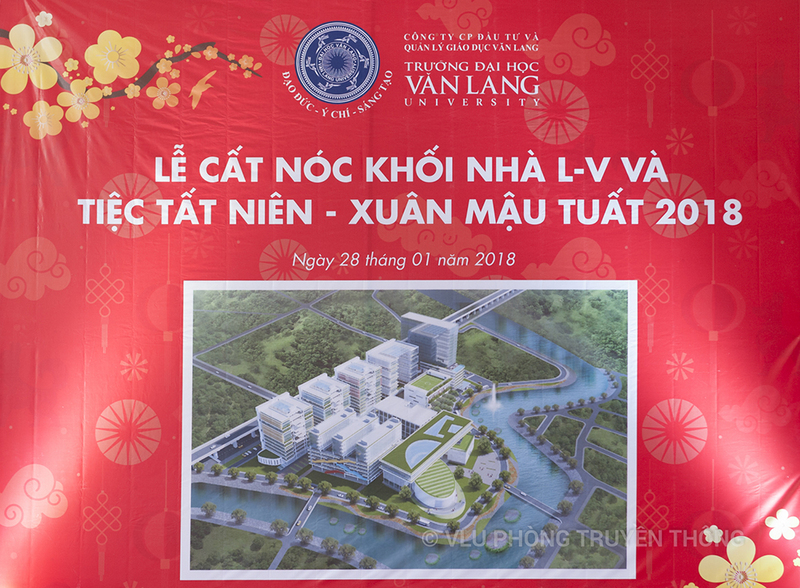 (Van Lang Communication) On 28th January 2018, the Topping-out ceremony of block L1-L2-V of Van Lang 3rd campus and the Year- end party to celebrate the coming Lunar New year of 2018 was organized. 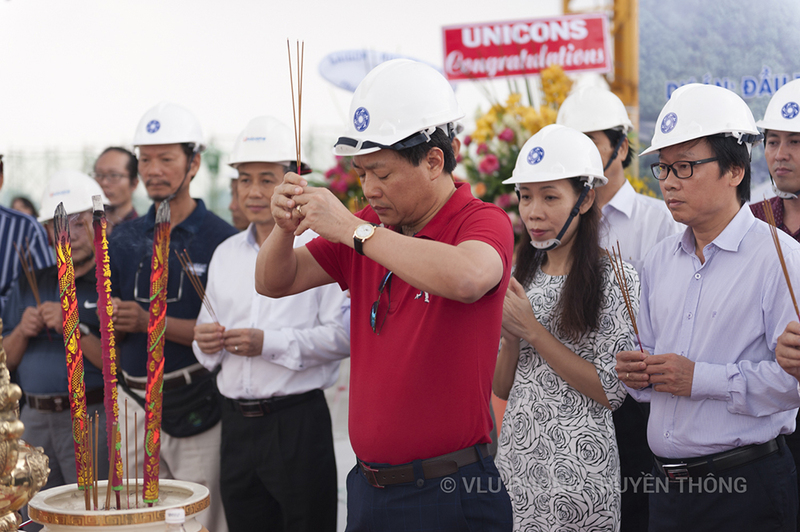 Mr. Bui Quang Do – The Chairman of the Trustee and the General Director, Ph.D Nguyen Dac Tam – The Vice Chairman of the Trustee, PhD. 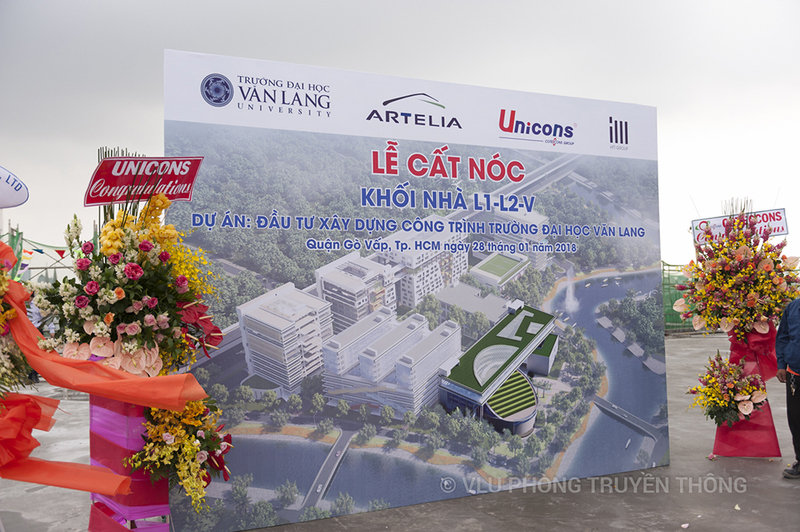 Nguyen Cao Tri - Vice Chairman of the Trustee, Assoc. 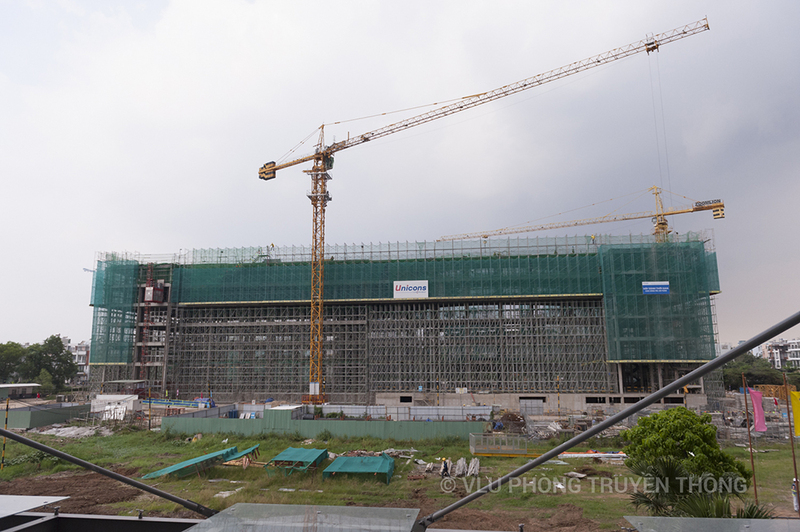 Prof. PhD. 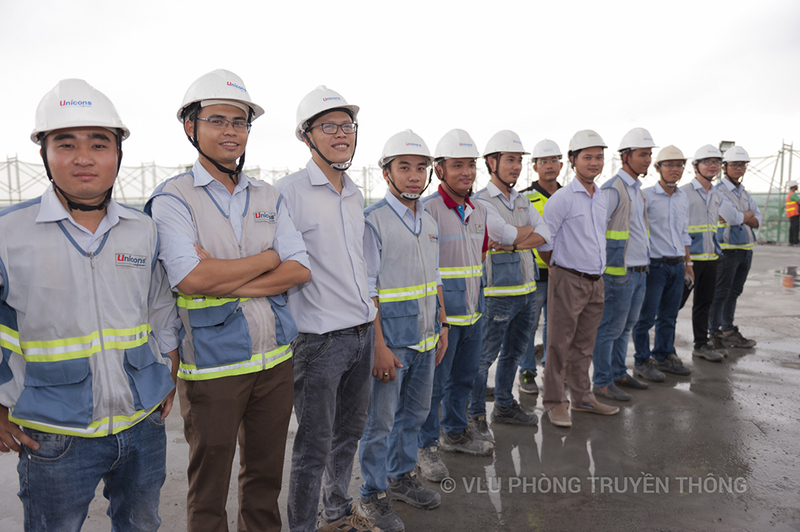 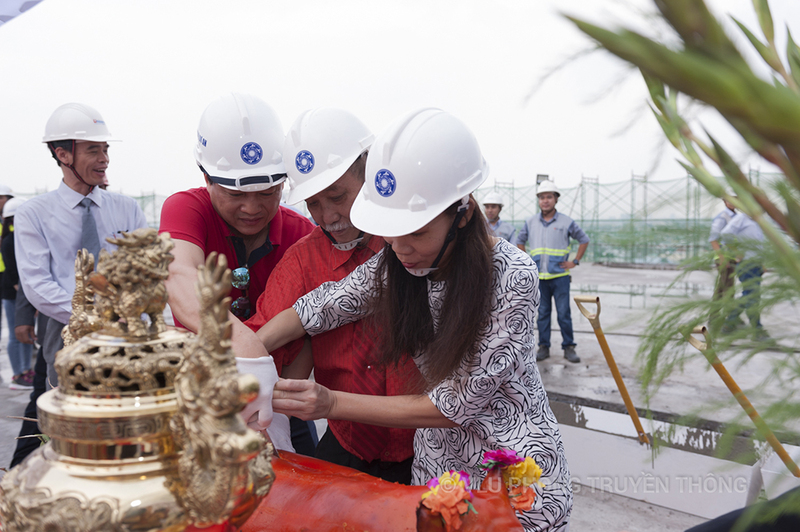 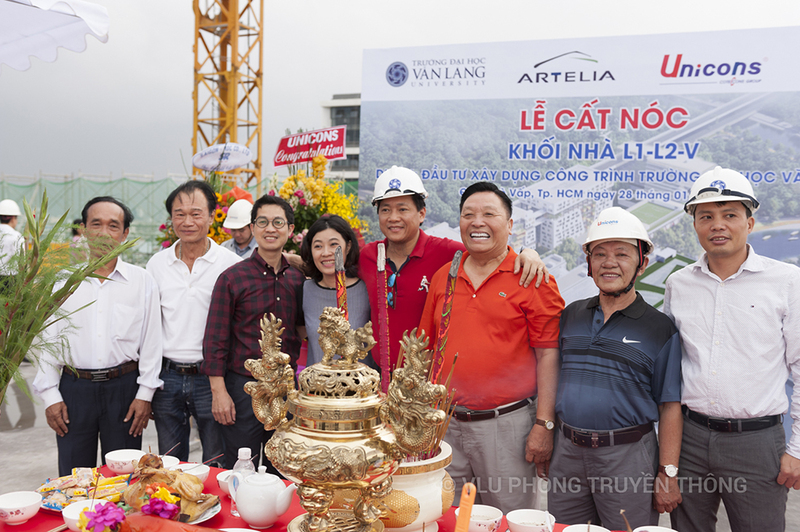 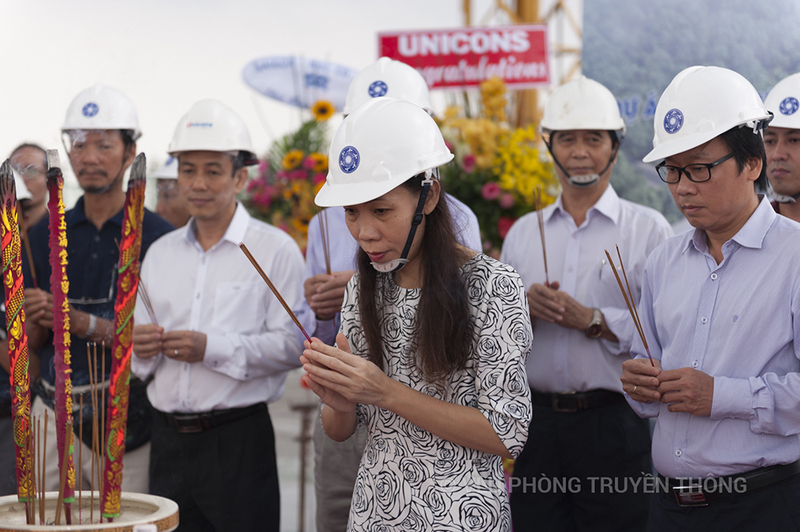 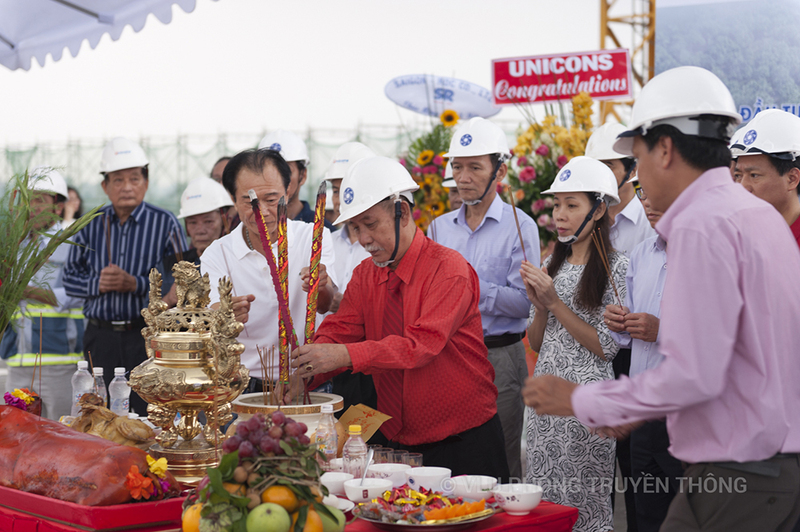 Tran Thi My Dieu – The rector, a members of the Trustee of Van Lang Education Investment and Management JSC, other members of management team and the construction partners were attended to the event. 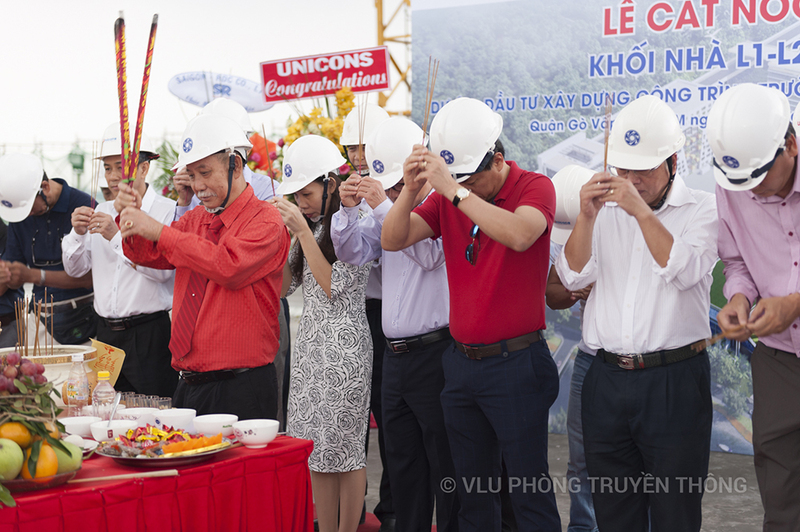 After the successful completion of the topping out ceremony, Van Lang Education Investment and Management JSC held a cozy party to tighten the relationship between the company and its partners and at the same time to farewell the Lunar year of 2017 and welcome the upcoming of 2018. 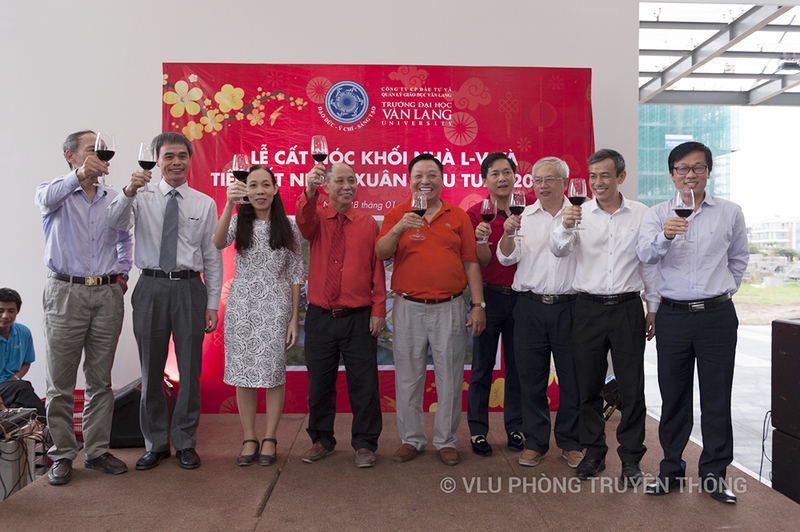 Mr. Nguyen Cao Tri, The Vice chairman of the Trustee of Van Lang Education Investment and Management JSC thanked to the partners who cooperated in the 3rd Van Lang University Campus construction and supported scholarships for students. 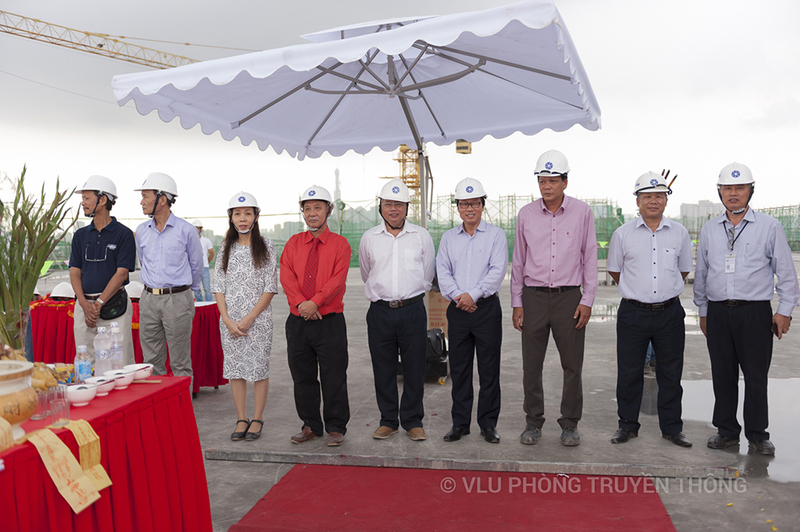 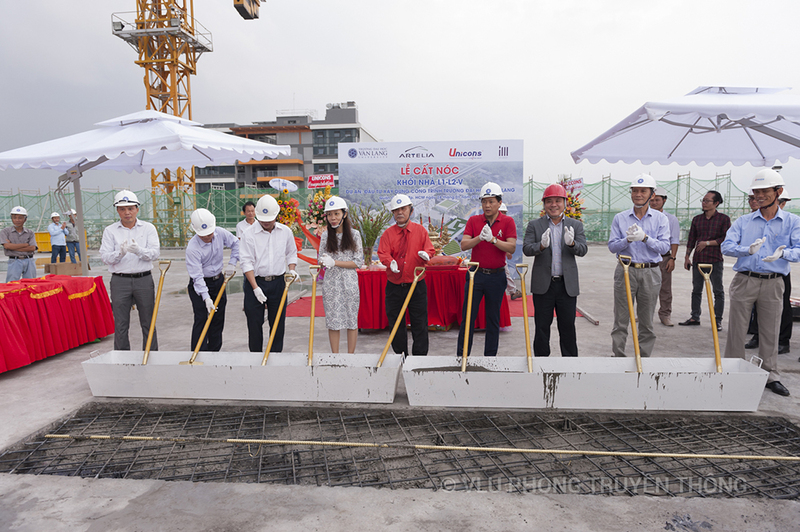 The Topping out event of the block L1-L2-V is a significant event opening a coming successful year of both Van Lang University and Van Lang Education Investment and Management JSC.